Jody Reynolds (December 3, 1932 – November 7, 2008) was an American rock and roll singer, guitarist, and songwriter whose song "Endless Sleep" was a major U.S. top-ten hit in the summer of 1958. His follow-up single, "Fire of Love", peaked at only #66 on the Billboard chart, but the song went on to become a blues-punk classic after being covered by the MC5 and the Gun Club. Reynolds was a regular on the "oldies" circuit and a successful businessman in the U.S. Southwest. Beginning in the 1980s several compilations of his music were issued in the U.S. and Europe, and he enjoyed modest acclaim as a pioneer of rockabilly music. 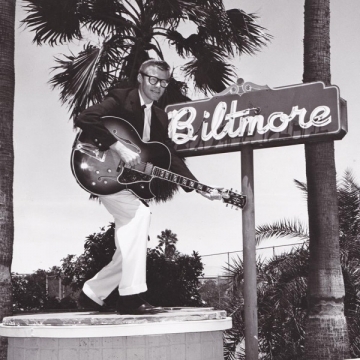 In 1999 Reynolds was honored with both a Golden Palm Star on the Palm Springs, California, Palm Springs Walk of Stars and induction into the Rockabilly Hall of Fame.